This man’s education could be put to better use! This is a well written document, presumably produced by someone who has received an education but would prefer to keep others in ignorance. What is to be gained? It requires an educated person to construct a document, which takes account of good grammar and spelling. It is an even greater achievement to do so in what may be the writer’s second or even third language. Generally speaking when an individual has attained this level of proficiency it is, at least in part, because they have received the support of a teacher. 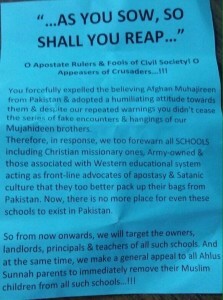 The above image of a document was given to me this morning by a friend from Pakistan. It had been pushed under the door of an acquaintance in Karachi who has had a long standing commitment to the education of children in that city. As an advocate of education this person has always treated children as individuals deserving of an education, regardless of their nationality, religion, class, gender or caste. This is an attitude that many of us would see as being founded upon human rights and social justice; qualities that we expect to see in educated people, but it would appear that others disagree. Leaving aside for the moment the rather obtuse sentiments expressed in this leaflet, one of the first things that struck me about it was that it is quite well written. The English language has been used to good effect (even if this is being applied for nefarious purposes), with reasonable grammar and consistent spelling. It most certainly could not have been written by someone who had not received a formal education. I am making an assumption here that the first language of the writer is not English and that they are more likely to be familiar with Urdu, Sindhi or possibly Pashtun, and that English could well be their second or third language. I am also interested to note that they have made a decision to write this text in English, presumably in the belief that it is a communication aimed at other educated individuals. Having read this embittered diatribe I find myself wondering what is to be gained by denying educational opportunities to others, similar to those that the author has clearly experienced in the past. If he (it is almost certainly a man) wishes to challenge the introduction of western cultural values, he is of course quite entitled to do so. There are many debates taking place regularly around the world about the loss of national and regional identity, and these are often stimulating and well informed. I most certainly support those individuals who believe that the protection of local languages, the preservation of regional heritage and arts, and the fair representation of national histories should be given a priority. Like many others who have engaged in the debate, I have a concern that the English language has become too dominant and is a force for restricting the opportunities of those who are unable to receive tuition in its use. Though I presume that this latter issue is of no concern to the writer of this misconceived missive. Attempts to stifle debate are usually made by those who feel that they are losing the argument. They betray the insecurities and inadequacies of the author. The messages conveyed in this text are intended to frighten, and to deny the rights of others to have their voices heard. I would suggest that anonymously pushing this leaflet under the doors of individuals who are committed to ensuring that children receive a well balanced liberal education is likely to have the opposite effect. Copies of this narrow minded text are already being circulated and held up as an example of the misrepresentation of the tenets of Islam, and a misguided action by an ill-informed, ignorant and faceless individual. I am pleased that the writer of this sad text has gained some benefits from his education. He has obviously acquired the skills of expression, even if he lacks the individuality and critical thinking that could make him into a more interesting author. 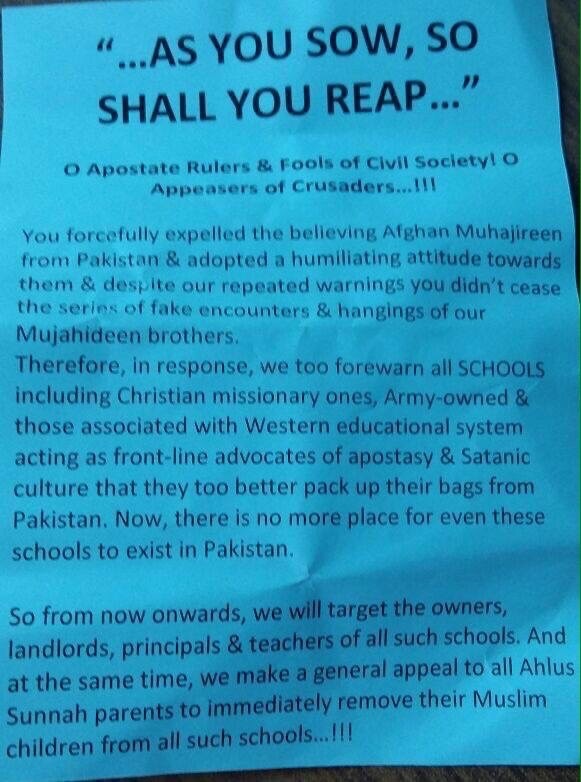 The threats contained within this document will be abhorrent to the vast majority of people in Pakistan. I hope that the purveyor of this sick note, full of despicable hatred, may find the time to reflect on the efforts made by his teachers on his behalf. They clearly did a good job in terms of his English language abilities. I also hope that if he has children they may experience an education that is truly inclusive, and promotes understanding, respect and tolerance. The kind of education that I imagine most of the schools targeted by this leaflet are determined to provide. Long may they thrive. 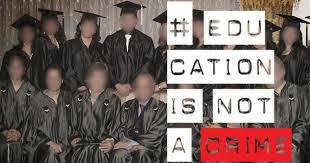 Those of us who can assert that education is not a crime are the fortunate ones. “They can destroy books and computers, or they can imprison people. They can confiscate property and shut down classes. But they can’t confiscate education. Is education a right or a privilege? What happens when individuals or groups of people are denied access to education? To what lengths will people go in order to obtain an education, or to ensure that others do not gain access to learning? These questions, and other similar points of debate were the focus of a discussion held yesterday evening at the University of Northampton. The debate around these fundamental issues was provoked by the showing of a film “To Light a Candle” made by the Iranian journalist and film maker Maziar Bahari, whose other films include Of Shame and Coffins (2000) and Along Came a Spider (2003). He has also been involved in the production of television documentaries, including programmes for Channel 4 and the BBC in the UK. Bahari is not unfamiliar with controversy and oppression having spent time in an Iranian prison accused of anti-state activity after filming and publicising “illegal demonstrations” and “illegal gatherings” in Tehran. “To Light a Candle” is certainly unlikely to enhance his popularity amongst the current rulers of Iran as it continues Bahari’s theme of recording oppression and denial of human rights. “To Light a Candle” tells the story of the Bahai community in Iran and their struggle to obtain education and fair employment. The Bahai’is are a significant minority religious group within Iran, where their faith was originally founded in the nineteenth century. Ever since their foundation, during the time of the Ottoman Empire they have faced persecution, but they have always resisted this oppression through determined non-violent resistance. In modern day Iran Bahai’is are forbidden access to higher education and are not allowed to teach in universities. Some of those who have sought a university education elsewhere and have returned to Iran have been denied the right to practice their professions, and the degrees that they have obtained from well-established universities have not been recognised within the country. One of many examples of this level of persecution is the story of Faran Hesami who graduated in 2003 with a Master’s degree in Educational Counselling from the University of Ottawa, Canada. On her return to Iran, where she hoped to work for the benefit of her local community Faran Hesami was arrested and tried and informed that her degree was illegal, and therefore she had been practicing as a counsellor illegally. The court sentenced her to four years imprisonment. “To Light a Candle” is in many respects a depressing film, and not surprisingly, those of us watching, representing many different nationalities, cultures and a range of secular and religious beliefs, were horrified at the level of oppression depicted. Everyone present at the showing of this film had benefitted from education from primary school days through to university, and there was a general consensus that our experiences left us better equipped to make a contribution to the countries from which we come. Whilst the sense of injustice around the room was palpable, there was however, one aspect of this film that gave everyone present hope that things will be better in the future. On several occasions individuals from the Bahai community shown in the film demonstrated their commitment to obtaining an education and their preparedness to go to great lengths to assert this right. 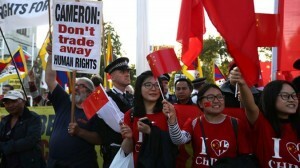 The point was strongly made, that whilst it is possible to deny access to universities or libraries, to destroy learning materials and resources, and to attempt to stop people learning together, determined individuals will find ways of circumventing legislation and oppression and will continue to learn. Within Iran students and academics, supported by many Iranians who are not of the Bahai faith have organised themselves to create the Bahai Institute of Higher Education (BIHE). Through this underground movement classes are organised and qualifications obtained. Though the Iranian authorities do not recognise this institute or its awards, the organisers of this movement persist and are continuing to assert the right to education. Academics from around the world have supported this movement by giving their time to teach courses at the BIHE at a distance through internet links and the production of teaching materials. The film showed professors from Canada and the United States of America engaging with students on a range of courses and enabling them to have access to high quality teaching. The showing of this film to a small audience enabled those present to reassert their commitment to the concept of education for all. Many of the students present have been involved in researching and debating aspects of inclusive education over the past few years, and their tutors in some instances for far longer. Discussions about the exclusion of children from education because of disability, poverty, caste or conflict have been a regular feature of the work of those present. This film added a new dimension to our attempts to understand the impact of exclusion and the importance of gaining a holistic view of the meaning of inclusion. The courage of individuals, who are struggling in the face of danger to obtain an education, should encourage all of us who have opportunities to learn in freedom alongside our peers and colleagues, to value what we have. The overwhelming view within the room was that education is indeed a right, but that perhaps those of us who have had educational opportunities should recognised how privileged we are, by comparison to others who live under oppressive regimes. Whilst members of the Bahai community in Iran and others around the world continue to be denied their right to education, it will be essential that those of us who do have the freedom to learn continue to debate these issues, and bring them to the attention of others. I promised to return, so here I am again. A few weeks break afford a welcome opportunity for recharging the batteries and to prepare for the coming challenges of another academic year. Pedalling gently across France, taking in the stunning landscapes of the Limousin, Creuse, Massif Central and Burgundy, it is easy to leave behind the everyday aspects of a working life and become distanced from the realities of the world. However, from time to time I feel the need to keep in touch with the real world, and the occasional opportunity to read an English newspaper can be welcome. This year two sad announcements were covered with equal attention in both the French and English press, and gave me reason to reflect on what I knew of two distinguished actors, whose deaths were announced whilst we were enjoying our cycle tour. The first of these, Lauren Bacall will, I suspect be remembered largely for the roles that she played opposite the man who was to become her husband, Humphrey Bogart. Her debut in To Have and Have Not, and later appearances in Key Largo and The Big Sleep, made her one of the most sought after actresses in Hollywood. A second obituary to Richard Attenborough, the British film actor and director followed very soon after the announcement of the demise of Lauren Bacall. Attenborough who came to prominence in films such as Brighton Rock, The Great Escape and 10 Rillington Place will probably be best remembered for his direction of Gandhi, the epic film of the life of the Mahatma. The obituary sections of newspapers are often interesting for providing a short résumé of the lives of distinguished individuals, but these two particular actors had more in common than their engagement with the cinema. 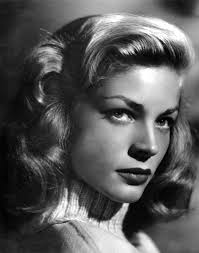 In the 1940s Lauren Bacall, along with her husband Humphrey Bogart established the Committee for the First Amendment in an attempt to counter attack the witch-hunt conducted by Senator Joseph McCarthy on a number of Hollywood actors and other members of the artistic community, by the House Un-American Activities Committee. She put her career in Jeopardy by standing up for the right of individuals to hold political beliefs and express ideas that were in opposition to those of prominent individuals in the government of the day. 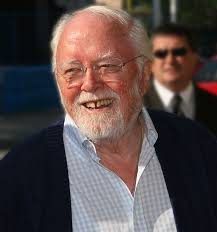 Richard Attenborough. admired and portrayed the lives of those committed to social justice and lived his life by their example. Richard Attenborough, greatly influenced by his upbringing by parents who devoted their lives to the service of others, committed much of his life to the promotion of social justice. He made great personal sacrifices and took significant financial risks for more than twenty years in order to bring the life story of Gandhi, whose philosophy of non-violence had so moved him, to the screen. He followed this project by making the film Cry Freedom which drew attention to the atrocities of apartheid in South Africa and highlighted the horrors surrounding the death of Steve Biko. Attenborough in his personal life dedicated much of his time to supporting charitable trusts and causes both in the UK and wider afield. The lives of Lauren Bacall and Richard Attenborough are probably viewed by most as having been associated with privilege and wealth. This interpretation is certainly valid. 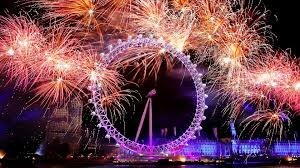 But of equal importance was the commitment that they made to work for social justice and to improve the lives of those who are oppressed or disadvantaged, and especially individuals and communities that have been subjected to prejudice. I am sure that the films that Bacall and Attenborough made will be entertaining and informing audiences well into the future. I hope that they will also be remembered for the example they set by demonstrating that whatever role we play in life, we can all play a part in working towards improving the lives of others.